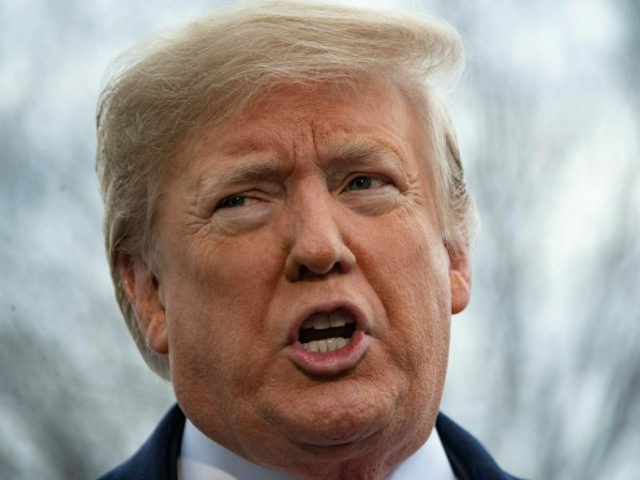 President Donald Trump ridiculed BuzzFeed on Saturday as “disgraceful” after the website published a Russia story special counsel Robert Mueller’s team declared inaccurate. “Many people are saying that the Mainstream Media will have a very hard time restoring credibility because of the way they have treated me over the past 3 years (including the election lead-up), as highlighted by the disgraceful Buzzfeed story & the even more disgraceful coverage!” he wrote on Saturday morning. BuzzFeed reported Friday that the president may have committed perjury by instructing his personal lawyer Michael Cohen to lie to Congress about his business dealings with Russia. The story ricocheted across the media for most of Friday as most journalists deemed the story credible before a rare statement from Mueller’s investigation team denied that the report was accurate. Later Saturday, Trump called the BuzzFeed story “a totally phony story” while speaking with reporters at the White House. Trump thanked Mueller for issuing a statement refuting the report. “I appreciate the special counsel coming out with a statement last night. I think it was very appropriate that they did so, I very much appreciate that,” he said. Despite Mueller’s statement, BuzzFeed editors demanded Mueller clarify which part of the report he was disputing. Trump also reminded followers that BuzzFeed had published the unverified “dossier” Democrats created to smear his presidency before it began. “A very sad day for journalism, but a great day for our Country!” he wrote.